Column made of grained walnut wood with light fruit wood core and fruit wood underside, side surfaces decorated with brass inlays. 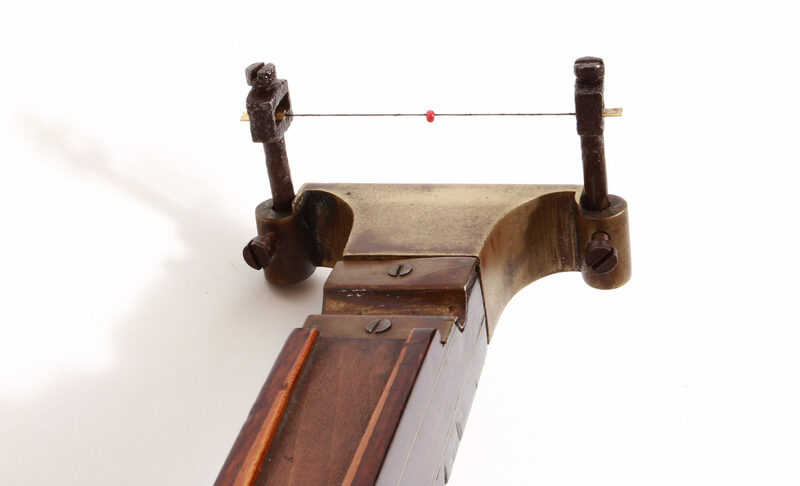 Bow with probably original string. 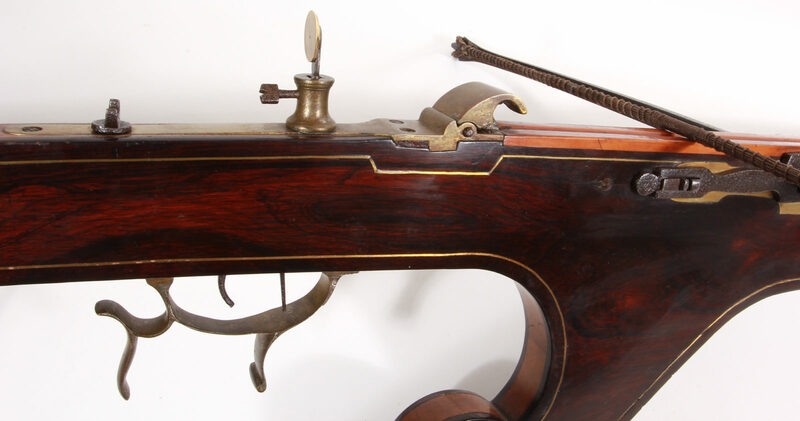 Brass pin holder, hair trigger, fingered trigger guard. Adjustable shoulder stop in length. Brass bolt for mounting the tension fork. Length 135 cm, span of the bow 69 cm. 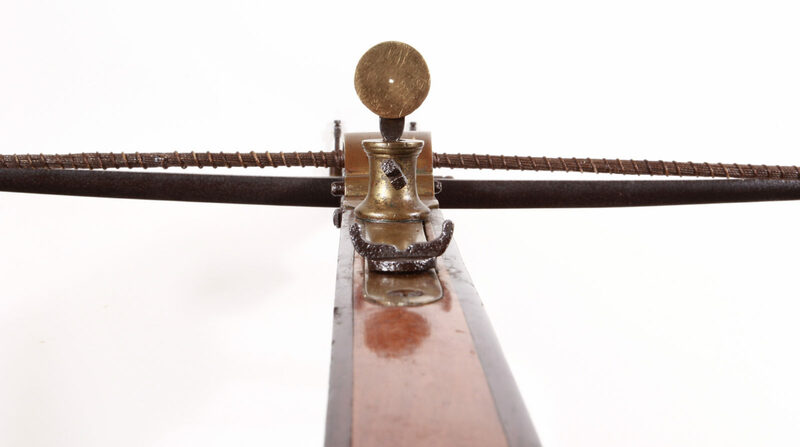 Trigger and stud holder very good function, bow and bow holder cleaned rust points, fore sight and diopter probably newer addition, otherwise very good condition. 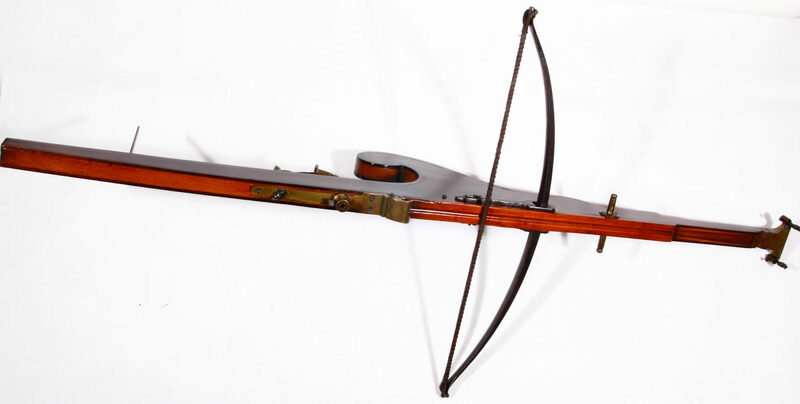 Such late Baroque or Biedermeier crossbows were used in Netherlands / Belgium for festivals and fairs for shooting competitions.